Student trips to New York City take special expertise to organize and execute successfully. The nation's largest city is also one of the busiest places to take a group on tour. Our team has extensive experience and knowledge taking classes on student educational tours to New York City. We have relationships with the best local guides who know the city well and how to navigate Manhattan streets. Here are just a few suggested Educational Tour packages to New York City. We can also customize an itinerary to meet the goals of any student class agenda. Spend two days in DC seeing many of the best sites including the Capitol and National Mall. Then travel on to NYC for four days in the Big Apple visiting Central Park, Rockerfeller Center, Wall Street, Battery Park, Chinatown and Little Italy. See a Broadway show & so much more that the city has to offer! Tour the Big Apple! Take a scenic boat cruise with close-up views of the Statue of Liberty and Ellis Island. See Central Park. Tour the American Museum of Natural History. Tour NBC studios. 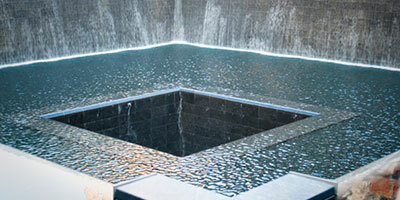 Visit the 9/11 Memorial & Museum. Attend a hit Broadway show, and much more! *Prices listed on flyers are for student “quad” lodgings and are subject to change based on travel dates and distance from actual embarkation point to destination city. Our prices are normally based on a minimum of 35 paying participants. However, we can accommodate tours for groups of as few as 25 paying participants depending on the destination and trip parameters. See Our Services page for complete information on trip costs, features, inclusions, restrictions and travel requirements.